The man who wanted to be the next vice president of the United States has apparently raised a domestic terrorist. For more than a year, as noted by The Gateway Pundit, conservatives and supporters of President Donald J. Trump have been targeted, attacked, beaten, spit on, and clubbed by Alt-Left thugs who are members of Antifa, a group the FBI and Department of Homeland Security has labeled a “domestic terrorist” group. Just for attending a conservative speaker’s event or a Trump political rally, supporters continue to be assaulted to this day, often while police have done nothing except play the role of bystanders to the law-breaking. In August, for instance, members of a Patriot Prayer group opted to cancel their planned rally in California after learning that Antifa thugs were going to be there to assault them. A few Patriot Prayer supporters showed up anyway and were summarily attacked by terrorists. And again, police did nothing to intervene, The Gateway Pundit noted. Perhaps it might trouble you to know that the son of Sen. Tim Kaine, D-Va., who was Hillary Clinton’s running mate, is likely among those the FBI and DHS have appropriately called terrorists. 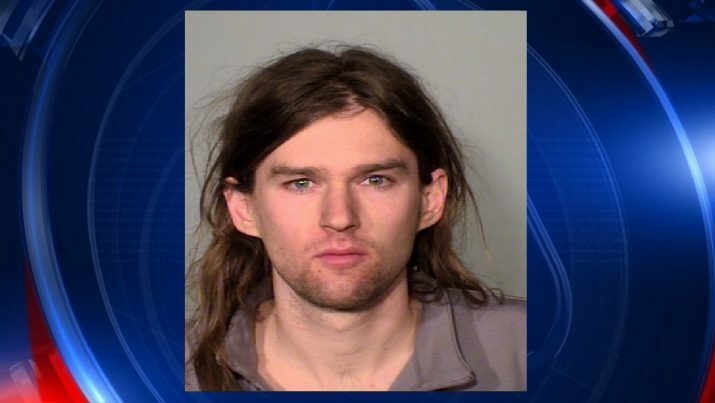 In March Linwood “Woody” Kaine, who is the senator’s youngest son, was arrested at the Minnesota State Capitol building after using violence to disrupt a pro-Trump rally. Antifa mobsters were throwing punches at supporters while assailing them with pepper spray. Woody Kaine is a member of Antifa, and thus, a domestic terrorist. Though Linwood was initially released by police, he was subsequently charged with a number of misdemeanors including interfering with police officers and fleeing the scene. Police reports said Kaine scuffled with officers and that it took several to detain him. While Ramsey County officials did not bring charges against Kaine, St. Paul city officials did. Attorney Samuel Clark furthered an investigation into Kaine’s actions and decided he would bring charges. “In my mind, this has always been about making sure that people who seek to express themselves peacefully can do so free from fear of violence,” Clark said, as reported by CNN. That should be a bright line for everyone. Sen. Kaine’s office released a statement upon hearing that his son was charged. Comprised principally of lawyer-speak, it essentially sought to convince people not to believe what they have been told about the incident. So in other words, we’re to believe that Woody isn’t the same kind of domestic terrorist as the other domestic terrorists arrested along with him. Got it. It’s past time for the Trump Justice Department to begin pursuing charges against members of a group President Obama’s FBI should have been arresting after identifying them, correctly, as terrorists.